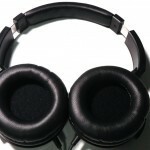 When shopping for a nice pair of headphones, your choices are plentiful, with each one offering unique designs, prices, features, and audio quality. 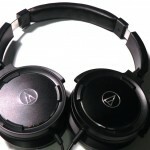 In particular, with the Audio-Technica ATH-WS55s, they’re priced at $83.61 on Amazon, at least at the time of this posting, and offer a fair amount of comfort with plenty of bass for your electronic lovers. To keep this written review simple, I’ll be talking about 5 different points: comfort, build quality, features, audio quality, and value. While these won’t engulf your ears, unlike the Bose AE2s, they still offer a fair amount of comfort to where you can wear and use these for hours at a time with practically no discomfort. If you happen to wear glasses, though, you’ll want to take those off, and the headphones will push up against the “legs” of the glasses, resulting in some pain. The leather earcups make for a pretty decent seal, too, blocking out a respective amount of background noise. 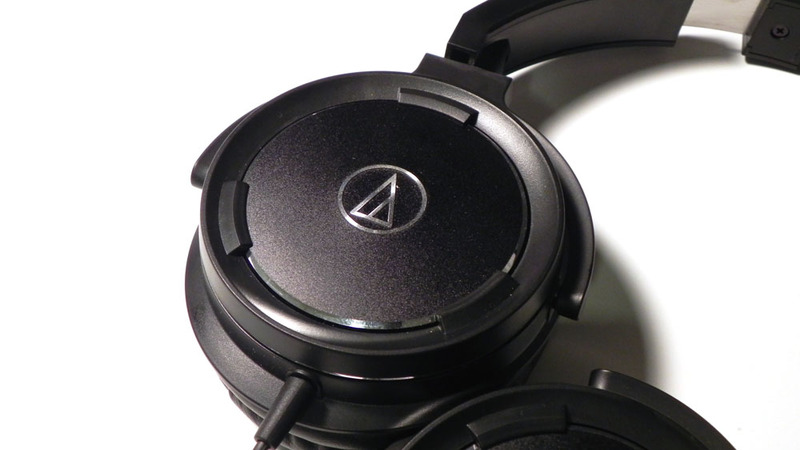 You can adjust the height of the headphones, as with most pairs of headphones. The sides don’t ratchet into place, however, so the height adjustment will be smooth/fluid. The majority of the build is made of plastic materials, with a metal band being apart of the headband’s construction. 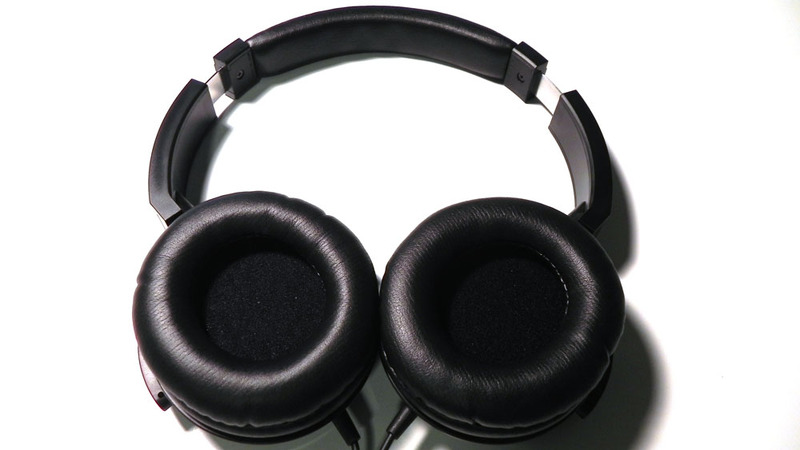 While this pair of headphones don’t feature an in-line remote control with microphone, there is a slightly more expensive version that offers this. 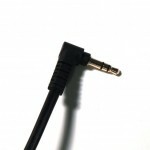 The cable on these, however, feature your standard rubber coating and gold-plated 90-degree 3.5mm plug. The plug itself isn’t too large around the base, so it should be able to work with most smartphone cases. 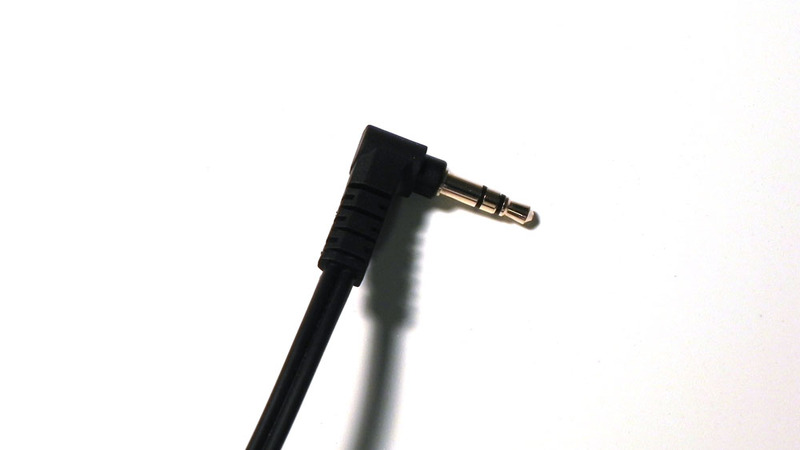 Instead of a single cable going into one side of the headphones and out to the other through the headband, each speaker has its own cable, which could potentially increase the possibility of damage. As long as you take care of your headphones, you shouldn’t have to worry about the cable or anything else breaking. 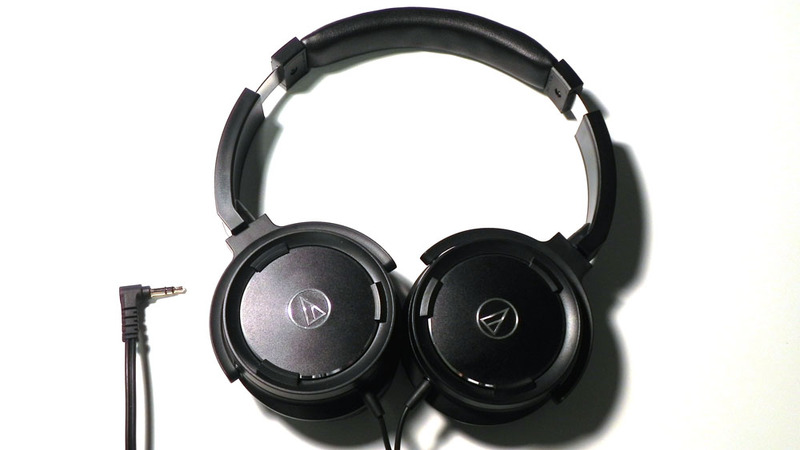 At its core, this particular pair of headphones is pretty basic all around, with its main selling point being its “solid bass,” which I’ll talk a little more about in the next section. No remote control or microphone, no ratcheting height adjustment mechanism, and no real portability options, other than laying the headphones flat. Finally, the part that many of you might’ve been waiting and looking for, the audio quality. But before I get into that, let me explain a fairly major issue that I’ve experienced: the right headphone is louder than the left. It’s not by a lot, but enough to where it can get annoying, depending on what’s being listened to. This can easily be avoided by adjusting the left/right balance on your device, but if you’re using an iPhone, you can’t really do that without the use of a third-party application. But now, the audio quality. 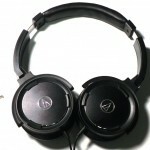 Many may consider these to be a rather well-rounded pair of headphones, but I would actually say otherwise. 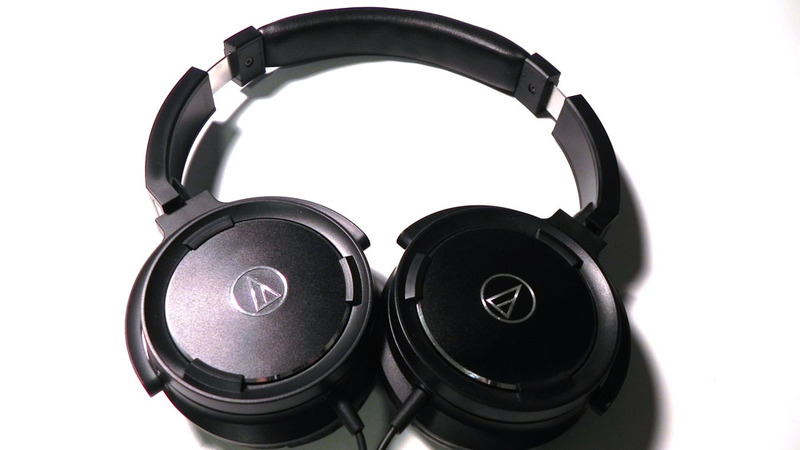 As stated, these headphones are apart of Audio-Technica’s “Solid Bass” lineup of headphones, so they definitely do pack plenty of powerful and punchy bass. In terms of everything else, the mids aren’t really that spectacular, but the highs are, hence why I believe that these headphones are more in-tune for electronic music, such as dubstep. Compared to the other audio solutions that I have in my possession, I found that these were definitely my go-to choice for when I want to listen specifically to electronic music. For other genres, such as rock and country, I would rather use something else. 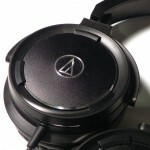 If you pick these up from Audio-Technica themselves, the price is $99.99. If you shop around, such as from Amazon, you can get them for $16 less (again, at the time of doing this review). At that price, bass lovers will be very satisfied with their purchase. For listeners of other genres, it’s best to look elsewhere.